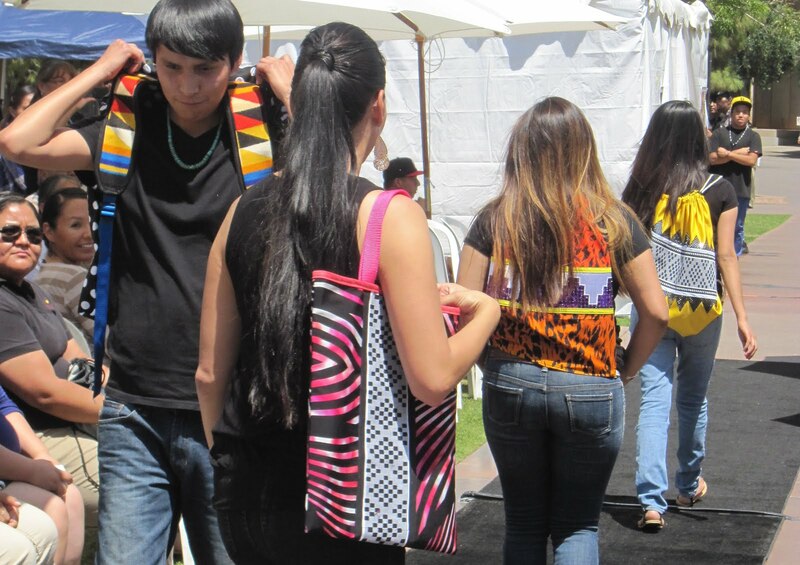 You are going to flip when you see the cool totes and backpacks made by Kevin Duncan (San Carlos Apache/Arikara/Hidatsa/Mandan). And they look even more awesome in person. 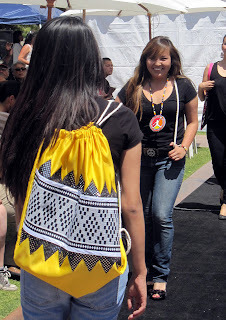 Fusing Northern Plains and Southwest Native American patterns with modern fabrics (like sequins) and prints (like hot pink zebra), Duncan brings us the ultimate freshness when it comes to ndn accessories. Seeing his collection made me realize that I just hadn't lived life properly, since I had been carrying around my books and laptop sans Painted Warrior. Duncan started Painted Warrior Designs in 2010 with beadwork, gradually adding different accessories to his line. He has sold his work in sets; sometimes combining a sequin/Pendleton backpack with a beaded Jordan medallion, or a leopard print tote with a black bow accessory. 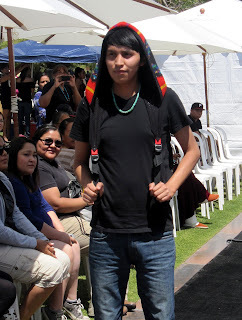 He's got you covered when it comes to Native street style. And his fabric combinations are totally unexpected - I mean, what do paisley, polka dots, and southwest blanket patterns have in common anyways? Nothing - but Duncan combines these patterns seamlessly and it looks oh so hot. 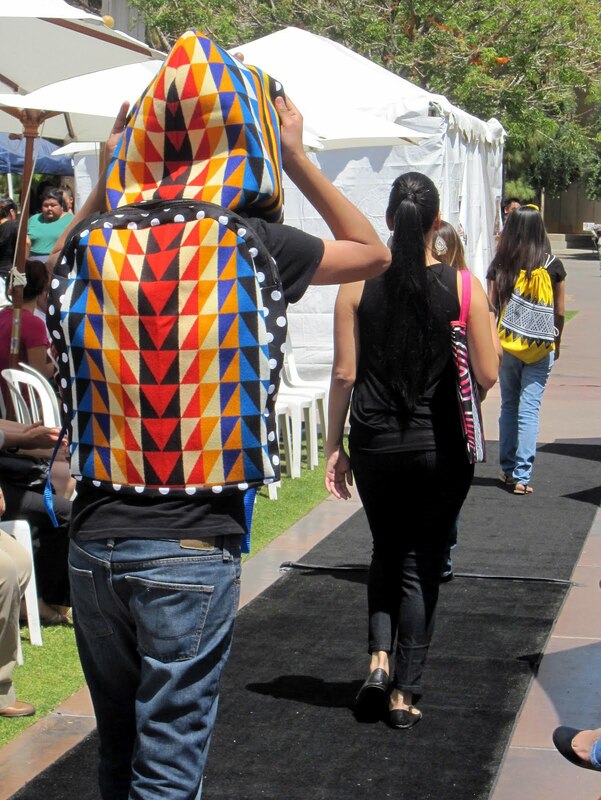 This guy has a keen eye for pattern mixing. I mean, pink floral calico and green chevron patterns? Come on, Duncan, you're just showing off at this point. 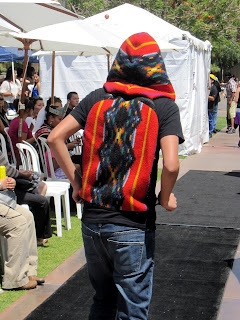 And then as if that's not enough, he's got to go and one-up the whole thing with a hooded backpack. It's the ultimate too-cool-for-school-or-anything-else-for-that-matter accessory. I saw it for myself (and I must say I was a tad jealous of the model - I kind of wanted to hijack it) when Duncan was recently featured in the annual American Indian Graduate Student Association (AIGSA) Fashion Show as part of Arizona State University Culture Week events in Tempe, AZ (all images are from that event). I can't wait to see what Painted Warrior brings us next.